Todd Shimabuku, co-owner of In4mation informed me last week that they were set to unleash their press release for the Aloha Army Surf Shop in Waikiki. Today, the news dropped and we’re so stoked to welcome this addition to the Hawaiian islands and surfing in general. So proud, Todd! Cheee Hu! 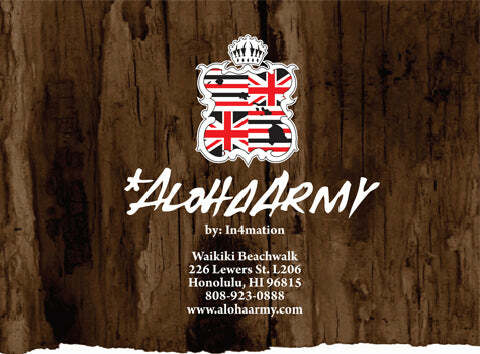 Aloha Army will take over In4mation’s storefront on Lewers Street.